Alisa Gammon, Social Advertising Director at Purple, joins the Social Pros Podcast to discuss balancing creativity with targeting in social advertising. The world of social advertising is a world governed by numbers. Algorithms break down customer behavior to curate what we see. For businesses, this becomes a constant fight to push your social marketing through to the eyes of those who will care about your products. As Purple has shown by becoming the number-one-rated advertiser on Facebook, balancing creative content with specific targeting is the way to go. Not all of your content is for everyone, and you certainly shouldn’t be spending the money and effort to get it in front of every set of eyes. By targeting on a deeper level, you can make sure content reaches those who will connect with it while saving you time and money to reach different segments of your audience. 05:46 – Why it takes risk to find success. 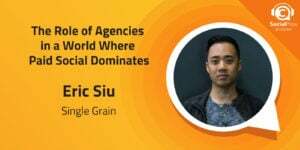 07:02 – How to balance creative content with targeting to maximize effectiveness. 10:53 – How Purple leverages content to stay fresh in potential customer’s minds. 15:07 – Why Purple incorporates Pinterest into its social strategy. 22:53 – How to convert customers into evangelists. Make sure you find a tribe that you can learn from and be mentored by! Alisa would love to speak with Sara Blakely of Spanx as both a huge fan of her as a person as well as the business she has created! Alisa Gammon: 00:00 From the beginning, how we've approached branding has been what we call performance branding. Basically a long form content that converts our focus on entertaining and selling at the same time is gonna allow us to stay in the forefront. Jay Baer: 00:21 Hey everybody, welcome to Social Pros, the podcast for real people doing real work in social media. I am, as always, Jay Baer, founder of Convince & Convert joined by my special Texas friend. 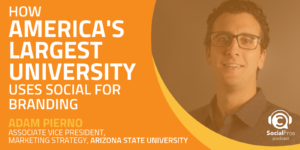 He is the executive strategist at Salesforce Marketing Cloud, live from Austin, Texas. It's Mr. Adam Brown. Adam Brown: 00:37 What a show, Jay, Alisa gave us some great insights on a very interesting type of business. Jay Baer: 00:43 Oh, I mean Purple is just an absolute dynamo. Talk about a company that's disrupting the direct to consumer mattress business and she has spent a tremendous amount of time and budget getting to be world class, truly world class at social advertising. We're going to hear more from Alisa in this episode of Social Pros, how they've been so successful using really extraordinarily interesting video ads that really are content, right? It's an ad. Yeah, but it really is more of a show, right? Adam Brown: 01:11 It is. And the fact that they have to out of the gate, recognize that only about one out of every eight people that they target is actually probably going to purchase a mattress in the next 60 or 90 days. Everybody buys a mattress every 10 years. How they deal with that and how they make sure they don't discard those eight or seven out of every eight that might not be buying a mattress this weekend. Jay Baer: 01:31 Yeah, because it's not an impulse buy to buy a mattress, but you're going to be in the market eventually. So one of the things that Alisa talks about and that purple is so good at is because the ads are so interesting. People watch them even if they're not in the market for a mattress. Right? And so they've turned advertising into essentially a hilarious television show. 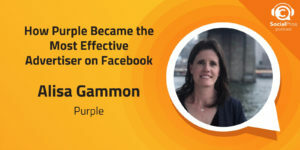 And that's not easy, this week on the Social Pros Podcast, Alisa Gammon, social advertising director from Purple. Jay Baer: 01:57 Hey friends it's Jay Baer from Convince & Convert. 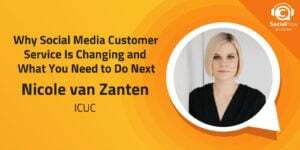 Thanks so much for listening to Social Pros, before we get into the show, an acknowledgement of this week, fantastic sponsors, Salesforce at Marketing Cloud who delivers to you a terrific free guide called the Complete Guide to Social Media for B2B Marketers. This thing is jam packed full of goodness, all kinds of research and insights on how to best segment your content and social for B2B, which channels to use, how to use advanced social listening and B2B really, really good stuff. Grab it at bit.ly/socialb2bguide. That's bitly/social. B the number 2, B guide all lowercase, all one word. Also, this week, the show is brought to you by our friends at TechSmith. They make it so easy to create professional images, professional videos. They make tools like Snagit and Camtasia, both of which I use literally every day and Camtasia I'm using as we are saying this. Jay Baer: 02:53 Everybody can create custom screenshots, custom screencast, custom videos. You don't have to be a designer. You don't have to have a ton of experience. Communicating with screenshots and video is seriously easy. I mean easy with TechSmith and their products and for you listeners of Social Pros, you get 10% off when you buy the Camtasia and Snagit bundle, go to techsmith.com. Use the promo code Social Pros, techsmith.com. Promo code is social pros and enjoy your 10% off. You're going to love it. 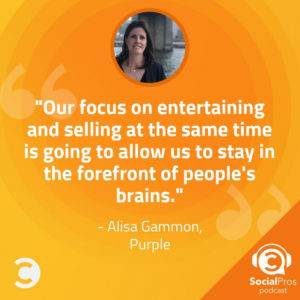 Now, this week's Social Pros Podcast, Alisa Gammon from Purple, social advertising director. Welcome to Social Pros. Alisa Gammon: 03:35 Hello, thanks for having me. Jay Baer: 03:36 We're delighted to have you here. What a fascinating company Purple is. It seems like it just burst on the scene fully formed. I know that's not true, but it sure seems that way and you have been doing some unbelievable stuff. Now I'm going to tee you up here with a little praise. You won the most effective monetization award out of six million different advertisers from Facebook at Facebook's Disruptors Summit, so to say that you have the most effective monetization of any Facebook advertiser. That's kind of a high bar declare first, congratulations, second, tell us a little bit about that. Alisa Gammon: 04:10 That was definitely a career highlight for me and that was just based off of our innovative advertising tactics that we've implemented through Facebook and yeah, it was just an amazing recognition in front of very savvy and accomplished group of peers for that to happen at the Disruptors Summit, which is the top 0.002% of all advertisers are invited to that event. I'm thrilled to be able to have the stage at Purple because many times in your career, you're doing really amazing things, but maybe it's in like previously I was at a running events company called the Color Run and it was a dying career and seeing amazing things there, but in an industry that was declining. So anyways, sometimes you don't get that recognition. Sometimes you also, you try things and they don't work and you don't get the performance that follows. So with my team, it was an awesome way to celebrate like a really risky a campaign that we launched with Facebook, one of them to remember that we need to keep this in mind for the next big risk that we take that doesn't succeed, that we don't get recognition for it. We don't get performance. Jay Baer: 05:22 Well, I'm glad you mentioned that because even somebody who's as accomplished as you are at social media advertising and spending a substantial amount of money on social media advertising, like you don't totally know what's going to work until you try it. I'm certain I'm certain you've learned some lessons. We'll talk about that here in the show, but I'm really glad you mentioned like, "Hey, not every campaign is going to succeed. You've got to give it a shot and see what happens." Right? Alisa Gammon: 05:46 Right. Yeah. I think a lot of times it's hard to keep that commitment. There is a risky campaign that we knocked off. There's like in the final 11th hour, there's a lot of people getting cold feet and I was like, no, we're going to stay. Jay Baer: 06:00 It's too crazy. Alisa Gammon: 06:01 We've been putting in. Jay Baer: 06:03 Why was it so risky? Why do you say that it was risky? What was weird about it? Alisa Gammon: 06:06 So we did a partnership with Tim and Eric. I'm not sure if you guys have some of that campaign. It was the Purple boys and we basically gave them free rein to create content and that it was a like six episodes of Purple boys, which is just two characters and content that Tim and Eric put together. The only boundaries that we gave them was, I want people to know that we're Purple and that we're a mattress company. Other than that, run wild, very out there. It was outlandish, humor. It's very internet, very much made for like a specific, like Tim and Eric fans. What was scary was that in order to actually scale this and see strong reach, you're going to need to try to reach a broad audience and see what happened. And there's a hesitancy that people would reject it. Jay Baer: 07:00 Don't know who these guys are, this is so weird. Alisa Gammon: 07:02 Yeah, but people will recognize, stood out in the newsfeed, it was actually ended up being six pieces of episodes, like two to three minutes long. And then each episode had over 20 assets that went along with it and they were just made for Facebook made for mobile. It was basically a Facebook campaign on steroids and with those assets or we also had different audiences and copy made for the different platforms of Facebook's platform that we had over 15,000 variations that we tested with us in the final hours. Like maybe we should actually just target the Tim and Eric fan base. [crosstalk 00:07:46] For sure going to be testing this and see what happens like that's what we've been planning and prepping to do. So that's what I'm gonna do it, to our great surprise, we saw like our broader and interest based targets performed, so not only from a performance standpoint but also from an engagement. So that allowed us to not only reach people at a 24% lower CPM cost at our spend levels and is- Jay Baer: 08:15 Significant. Alisa Gammon: 08:16 Yeah. Very significant, but the performance, we thought it was going to be like a branding play campaign, but we saw performance follows. So that's what was really surprising. Even my Facebook account managers, who are definitely like more DR focused could not have predicted that. But I'm so grateful that at Purple Size I was able to take that risk and move forward with that. But yeah, it was a ton of fun to be part of. 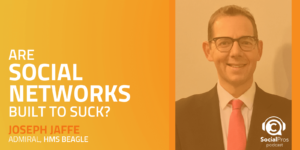 Jay Baer: 08:43 Would you say in general the things you've learned now with that campaign and lots of other really effective campaigns that you've run, what's more important in the success of social advertising today? The creative or the targeting? Alisa Gammon: 08:54 Oh, that's a great question. Adam Brown: 08:54 Great question. Alisa Gammon: 08:57 I think you've gotta have both. I mean I think with, with stock images you can reach some ... If you're getting the right people you can see some positive performance. I think in order to scale and in order to have a broad success on Facebook, which is a thing where the bread and butter of direct to consumer companies that have a broad audience are seeing the most success. I think just having really strong assets and of course video is where it's at, but we tend to try to make relatable content too. Brought people like that just humor and entertained while educating. I think- Jay Baer: 09:44 Yeah, I mean, your stuff is always really funny. Alisa Gammon: 09:46 Thank you. Jay Baer: 09:46 I mean that's what ties it together between all the campaigns. The campaigns may not ... Obviously there's a mattress in, it's called Purple, but what the thread between all of it is, it's a little wacky and it's funny, right? So at least it makes sense in the context of a brand position, right? It's not just like random for random sake, which I think is great. Alisa Gammon: 10:05 Thank you. Yeah, that's what we try to do. Adam Brown: 10:07 Alisa, it's so great to have you on the show. 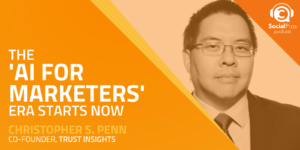 Now, those listeners who've been listening to us awhile know that I often talk about the marketer's fallacy and that idea is that me as a marketer, if something works on me, then I think that it must be working on the entire audience. And as I was talking to Alisa right before we started this podcast. I may have had about four and a half week owner of a Purple mattress. I purchase this unknowingly that Alisa was going to be on the show, with my own consideration phase. This based upon seeing the ad, it wasn't the Tim and Eric. It was more the ads with the lady and the eggs and the piece of glass and the Purple mattress, the visual- Jay Baer: 10:46 Which has like 138 million views now, or some crazy number. When I looked at it the other day, I was like, what? Adam Brown: 10:53 It's genius. And Jay asked a perfect question just before, around, is it creativity, is it targeting, of course it's a little bit of both. I want to go back to something that was at least important for me. I know the average person buys a mattress like every eight to 10 years, and it's a big purchase is a big consideration phase. Now, because of that, the con there is that means that only one out of every eight of your targeted individuals is likely going to be a mattress purchaser. The other seven eighths are our kind of people you need to cut on a nurturing relationship. So I was curious when you just mentioned earlier around branding versus performance and how you kind of distinct and how you measure that. I was wondering if you could go into that a little bit deeper in terms of how you create and establish and target your programs based upon someone that you see is a high likelihood of purchasing a mattress in the next 30, 60, 90 days versus someone who might not even buy a mattress in the next decade. Alisa Gammon: 11:49 Yeah. That's a great question. I think from the beginning, how we've approached branding has been what we call performance branding. Basically a long form content that converts. The branding aspect of it is investing in the humor side of it. I think that content you gotta put a little bit more effort and be a little bit more tactful. It's tricky in order to really like nail a humor and a lot of our competitors in the space are just very direct response focused and I think that they're seeing great success. But I think our focus on entertaining and selling at the same time is gonna allow us to stay in the forefront of people's brains for hopefully when they are back in market. I don't know, a lot of times that comes when people are moving, marriage or divorce unfortunately, has been moving towards a more like broken out and structured. But to Purple's growth today. We've approached trying to accomplish both at the same time rather than them being siloed. Adam Brown: 13:02 And it seems as though the strategy of using digital and social seems to work with that storyline. If you look at the traditional mattress makers. Let's look at like a beauty rest or as Siemens or someone like that, they've got Tom Brady, they've got their traditional 32nd ad unit, very kind of stoic ferry, not boring, but very traditional. Your ads are consistently funny and irreverent and that seems to work better in a little bit more long form type of structure, whether it's a pre roll on YouTube, whether it's an actual video. As Jay said that's getting millions and millions and billions of views on YouTube or it's something a little bit definitely love to kinda hear where does social kind of fit in all this and social versus digital. You seem to be, and I don't want to put words in your mouth a very digital first type of marketing strategy. Would you say you're social first or is social just a big part of your digital marketing actions? Alisa Gammon: 14:00 We definitely, we started with a video on social. We launch your business and brand on Facebook and so I think Purple has been a social first company, but I think as we're maturing we needed to diversify. So now I'm not sure I would say that, that's true today, we are needing to get in front of a more eyeballs. So basically like social importance is still very impactful, but we're needing to ... I'd say it's now one of the top players in the overall Purple marketing strategy. I don't know. I think that, yeah, we're looking now, we're investing more in a traditional, just you can look at direct to consumer advertising space and you can see people that started on Facebook moving to TV and that's something that we're investing and figuring out just because there's video there and there's definitely an audience there. So anyways, I think that's a natural progression that I've seen within Purple and looking at some of my peers. Adam Brown: 15:07 One of the things that I'm fascinated by Alisa Gammon from Purple joins us this week on Social Pros is your use of Pinterest. So you have this legendary series of Facebook videos, very humorous that drives tons and tons of not only engagement, but a lot of mattress sales. And then you have the Pinterest strategy, including now some promoted pins and videos and things like that which aren't necessarily wild and wacky but a little bit more useful for your Pinterest studies. I want to talk a little bit, if you would, on the difference in approach from a content perspective and then what kind of success you're seeing with your Pinterest program? Alisa Gammon: 15:45 Yes. So from a content perspective, yeah, we've seen that lifestyle performs there. So anyways, it's a little bit different. We actually, we definitely have tasks that are tested or some of the other videos that we've seen success with, any way shorter form is also where it's at. So you just have shorter time to get to the point on Pinterest. But yeah, we still, even in lifestyle, we still try to have some level of unexpectedness to in one of the videos that we have running, it's an actor called Billy, so it's like our Billy mattress video, but the bed is spinning and he's going into different weird poses, but it just stands out. It's very mobile friendly. There's a lot of like a fast cadence to the video, so yeah, it is still much more straightforward than some of our traditional videos on Facebook and YouTube. Alisa Gammon: 16:48 That's what's working there. So that's what we're gonna do and I think like Pinterest, what's really so awesome is that you can combine a key word on a social platform. So we've been able to look into audience insights and look for some good overlap with our customers and we found like a matching some creative. So like targeting young families with images of families using our mattress as performed well and customizing those headlines. I'm so thrilled to see them launching video, that wasn't that long ago. We were the first mattress brand to launch video on Pinterest and with that we were able to see like a 34$ cost decrease and link clicks compared to our static imagery on Pinterest. Being the first to launch something amongst my competitors is it's something I'm still proud of accomplishing because right now in order to accomplish that we were trying to ... Pinterest is a number one channel for us, it's a second or third tier and anyways, it took going the extra mile in order to get that creative specifically made for Pinterest. Alisa Gammon: 18:04 And also just trying to, rather than focusing on three up and coming or challenge or social platforms that I like to call them, we distilled it down to picking one and going stronger into that. And what was amazing is that we were able to get at the same time, like more support. I think just by chance. And then additionally we saw Pinterest doing the right things from an ad platform standpoint. So just great improvements, better ad assets to choose from. And that's just really exciting. I know. Anyways, I'm sure other social advertisers can relate to some of the challenges and figuring things out. Adam Brown: 18:45 They don't always make it that easy to buy from them, that's the challenge. Alisa Gammon: 18:49 Exactly, yeah. Like some challenge or social media platform is that account rep that I've had, I would be explaining to them the acronym CPN and as needing to lean on them to navigate there very poorly developed ad manager. Adam Brown: 19:03 Interface. Alisa Gammon: 19:03 So yeah. Anyways, the struggle is real and I mean I had contacts that worked at this company that weren't able like this is the best that we could get. I was able to do my best to try to get any additional support that I could because I was trying to diversify and find places to reach new people, but even trying to throw around Purples weight sometimes and I was thrilled with that decision. We're able to definitely see increased performance by just narrowing down and focusing on the- Jay Baer: 19:37 Do one thing well instead of three things. Okay. Right. Adam, we've talked about that on the show. Adam Brown: 19:43 Yeah, I mean do you go wide or do you go deep? Alisa, one of the things that you mentioned was using audience insights and whether as you said your new promoted video usage of Pinterest, Facebook everywhere else. I'm curious if any of your team or other folks are kind of what I call you, looking at the telescope the opposite way and using social listening insights to help inform media bind. To help inform kind of who is your target audience or in most cases are you kind of told here is the target audience, here is the person that's going to buy a Purple mattress, go out and reach them. Alisa Gammon: 20:17 That's interesting. I think that's definitely something that could be implemented. I think being able to pull graphs that show the over indexing of where my customers travel or family or other dog owners is, has just been like an easy way. I think there's definitely other ways. I feel like right now I'm more limited to picking, three is actually, I'm not needing more. I mean basically more assets I have to like distill it down to my very top audiences that I'm going to attempt to create a specific content for those. But I feel like for sure at an entrepreneur meet-up that I went to last night, it was a woman that was selling like this mason jar attachment and she said she's like, I thought I was just trying to- Adam Brown: 21:11 I'd like to a bottle or something? Alisa Gammon: 21:12 To like a mason jar, so you get to basically like make any mason jar into a container that could poor syrup or pour orange juice or whatever type of liquid, really cute. And she was just attempting to figure out her audience and she had some assumptions and it was failing and has really impressed you as a one woman company, so doing it all. But she was able to just look at the organic followers that she was seeing on Instagram and saw that she saw a lot of homesteaders in that audience. So she targeted homesteaders and Facebook advertising and then was able to get 50 cents per email lead. Anyways, I feel like there's a lot of times where people think like, this is who my audience is. And sometimes they're not open to adjusting creative or adjusting- Adam Brown: 22:04 So you're gonna test right? If assume you know what your audience is, well then why do you ... I mean, I've been doing this for 30 years and every time I think I know, I realized how little I actually know when you actually test it. Alisa Gammon: 22:21 Totally. Something that I am always advocating for is even if you're creating specific content and like it's not a test unless you test it against something that's already working or getting like a false positive and see that amongst my peers. And we meet regularly in order to keep each other honest and when. So we have like a weekly growth meeting. We're talking about the testing that we're doing and it's an open back and forth discussion where there's open challenges and questions and phrases of course too. Adam Brown: 22:53 Alisa Gammon, social advertising director for Purple, it is so great to have you on the show. I've got one last question before I hand it back over to Jay who's going to ask you the two big questions. As I mentioned earlier on the show, I'm now a proud Purple owner as we talked. This is something that you buy every eight, 10 years. It's a big purchase. A big part of marketing I would assume is how do you convert me, Adam Brown or the thousands of Adam Brown's that purchase purple mattresses every day to become evangelists. How do you kind of use me as a marketing vehicle and I'm curious if that fits into kind of what you're doing or if that fits into what some of your colleagues are doing at Purple? Alisa Gammon: 23:35 We are very impactful to our business is leveraging existing customers word of mouth is a massive channel for us. I think it's feels at times that it's hard for us to try to actually give people an amplification there, but we do have a referral program so that doesn't hurt, you get $50 Amazon gift card and your friend gets a $50 Amazon gift card. They purchase a mattress. So that hopefully that helps. I still think how referrals happen or is it more organically? And for example, recently a friend of mine was raving about a pair of shoes that she had and she's like, "Oh, and there's just a referral program for where you can save 20, I'll get 20." She's like, "But it was in some email, I don't know where it's at." And I'm like, "Oh that's interesting. I wonder if you could find that." Alisa Gammon: 24:28 And I knew that it was that referral program was going to accessible on that company's website, but I just wanted to see if she would find that. So I was like, I would love to, I will buy this pair of shoes if you can find that, let me know. And anyways, she didn't go back to the website and found it. But a lot of the times it's more organic and I think if I hadn't actually pressed her on go and tracking that down for me wouldn't necessarily have worked. So we've actually looked for opportunities around like promos to offer special promos for existing customers and we don't restrict it from whether it's a promo that they're using or they're handing off a to a friend or family member and I think a lot of people might try to gate that. But I think I'm happy if people are going to be sharing that single use discount code. Jay Baer: 25:18 Well, I mean, ultimately, isn't at $50 or I guess maybe $100 to $50 gift cards, one for each person. Even if you factor that in from an acquisition cost perspective, that's actually a good deal for you. Right? You'll take that all day long. Like it was like, "Okay, we paid nothing for it other than word of mouth plus $100 gift card." You're like "Okay." Alisa Gammon: 25:40 Yeah, I'll do that all day long. Yes. Jay Baer: 25:42 Yeah. For ever, for ever. I'm so fascinated by what you're doing at Purple. I was so close to buying a Purple mattress recently and made a different decision. That was not a very good decision. So I may have to use Adam's referral code and get myself a gift card and Adam as well, just because I loved the marketing so much, I feel like I have to sleep on the bed even though I know the bed itself is quite worthy. Alisa, we're going to ask you the two questions we've asked everybody here on the podcast now going back eight long years. First question, if you could give somebody one tip, somebody who wants to become a Social Pro, what would you tell them? Alisa Gammon: 26:22 I would recommend finding your tribe or mentor that you can learn from. That could be like joining a team, your co-workers, colleagues. That's who you're learning from here in Salt Lake, I'm involved with the marketing organization and that's definitely my marketing tribe that I'm learning from. I don't know if early on in your career I think who your boss is and who you're learning from, I feel like that's the most important, most critical. I think during the interview process gauging is this someone that's going to be accessible and develop me as a professional. Jay Baer: 27:03 That's sage advice. Absolutely. Find somebody that you know you can learn from or somebody who's in ... And stick with them, especially in social now. Things change so fast that nobody's got all the answers. That's for sure. Last question for Alisa at Purple, if you could do a video call with any living person, who would it be? Maybe you could do a video call while on a mattress, which sounds like a show that you guys could produce. Alisa Gammon: 27:29 Totally. Yeah. Actually we have conference rooms here that have mattresses. I should have have jumped in one of those like [crosstalk 00:27:37]. Jay Baer: 27:39 I gotta come for a visit. We need to do like a live taping at your office. Alisa Gammon: 27:43 Yeah. You'd be welcome. I'd love to host you guys. Yeah. Any person I would love to chat with? Sara Blakely, the CEO and founder of Spanx. I just love her business and her as a person. She's just a very inspirational woman in business and yeah, I think that would be a lot of fun to take her brain. Jay Baer: 28:08 Yeah. She is quite a powerhouse and talking about building something out of nothing at Spanx. That is some kind of story. I mean that is one of those like classic business success stories. You're like, wow, that's amazing. Adam Brown: 28:21 In one in a million. Jay Baer: 28:22 Yeah, that's a good answer. And one we haven't had on the show before, so thank you for that Alisa. But it's weird because you are not a Spanx wearer. You are like a 0% body fat person. You're like a competitive wrestler and like an ultra-marathoner and all this jazz, like you've never even seen a pair of Spanx in the world. So I think it's hilarious that you thought- Alisa Gammon: 28:42 Well I do own. I mean because Spanx is for ... It just improves every body. I don't know anyways, basically rather than having like a slip or something, it's just like another layer. So everything- Jay Baer: 28:54 Okay, there you go. Alisa Gammon: 28:55 Good. Yeah, it's not just for- Jay Baer: 28:57 I need dudes spanks, we need to really start working on the dude's spanks [crosstalk 00:28:59]. Alisa Gammon: 29:01 Yeah. Jay Baer: 29:01 I don't know, but they'd be a hell of a sponsor for this program because Adam and I are, neither of us are what you would call slim, so yeah, that would be great sponsors. So, Sara, if you're listening, you let us know. You can make this happen. Alisa, thank you so much for being here, congratulations on all the success, all the acclaim, richly deserved. Cannot wait to see what you and your team at Purple come up with next. Adam will be giving you a full report from his slumber on your terrific mattress. Alisa Gammon: 29:31 Yes, please do. Yeah. Love that. Thank you guys for having me. Jay Baer: 29:35 You Bet. It was terrific. That's Lisa Gammon from purple, Ladies and gentlemen, our guest this week on the big Social Pros podcast. As always, I'm Jay Baer from convince & convert. He's Adam Brown from Salesforce Marketing Cloud. This is hopefully your favorite podcast in the whole world. Go to iTunes or wherever you get your podcast. Leave us a review, something like that. That'd be real swell. Until next week. Don't forget, you can get every single episode, 346. If my number is correct at socialpros.com, until next time, thanks for listening.